Order your Namiki Yukari Milky Way & Shooting Stars Maki-e Fountain Pen today from FahrneysPens.com. Fine Pens, Refills & Luxurious Gifts – great prices & fast shipping. 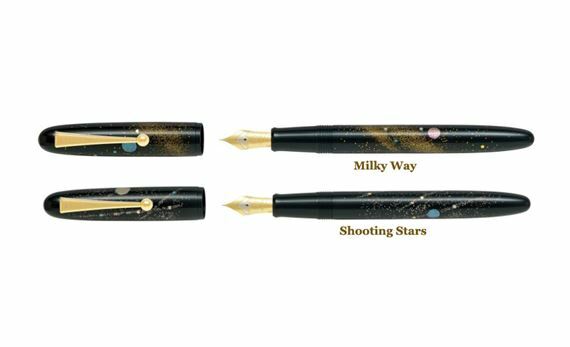 Namiki’s latest designs are all about the dreamy stars, as you will find in Yukari Shooting Stars and Yukari Milky Way. Each design captures the enthralling nature of the world’s unknown, whether in its endless galaxy or its earthly beauty. Modern Hawaiian-Japanese often believe that a shooting star approaching one’s direction dictates that one opens the collars of the kimono to receive its good luck. Indeed, these breathtaking sights of the dark night are revealed using the Fuse-zai-shiki in Togidashi Maki-e technique, vivifying each detail in its beautiful motif. 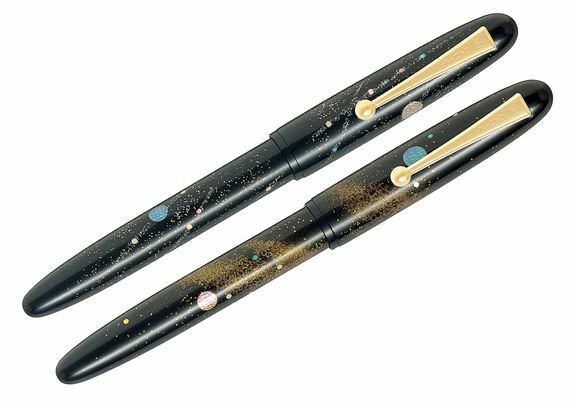 And of course, one can’t speak of the galaxy without thinking of the Milky Way, as you will find burnished on the fountain pen’s canvas using the same Maki-e technique as the Shooting Stars. As you might have guessed, the Milky Way is named such because of how it looks from Earth – a dreamy patch of sky at night, milky as milky goes, named first by the Greeks who called it ‘galaxias kyklos’, or ‘milky circle’. The Namiki Yukari collection features a precision 18K gold nib with rhodium accents and a piston ink delivery system, ensuring first-class writing quality and long-lasting performance.